Northern Journeys | Watts Up With That? I just got back from going up north to see my friends, to investigate core drills for gold ore sampling … oh, and to see the eclipse. The ride up was lovely. We saw a herd of elk resting in a field, and then after a few miles, we flashed by a massive bull elk standing right on the shoulder of the road … what a magnificent creature. Nightfall found us in Trinidad, north of Eureka. As is sometimes our custom, we stayed at the local casino. Every casino has its own policies about RVs. At Trinidad, they charge $20 per night, no electricity or water, but they did have internet. I’ve always enjoyed Trinidad. I fished commercially for bottomfish out of there fifty years ago, when they had a goofy system with railroad rails to launch the fishing boats and to get them back out of the ocean. Looking on Google Earth, I saw that they had installed a whole new dock, and what looked like a boat ramp. So I was shocked to see the same dinosaur system still in use, rolling boats in and out of the water on the rails. From there we went north to find the eclipse. As usual, I hadn’t made anything in the way of plans. I heard that Anthony was up north, but when I called I was bummed to find out that he was way east of me so we couldn’t meet up. Now, as we were driving we kept seeing signs … “Eclipse Camp Sites, $100 per night” and the like. And the news was saying that every tourist spot in the neighborhood had jacked their prices through the roof. We didn’t have a place to stay, so I looked at the list of local RV parks. I figured I wouldn’t find anything cheap. I saw a place called “Wandering Spirit RV Park”. I liked the name, so I called them … they had one spot left. I summoned my courage and asked how much it would cost … “$45 per night, two nights, that’s $90” … when we got there, the owners said they didn’t think it was ethical to charge outrageous prices. Napoleon is reputed to have said “I don’t care how good my generals are … I just want them to be lucky”. I felt very, very lucky. 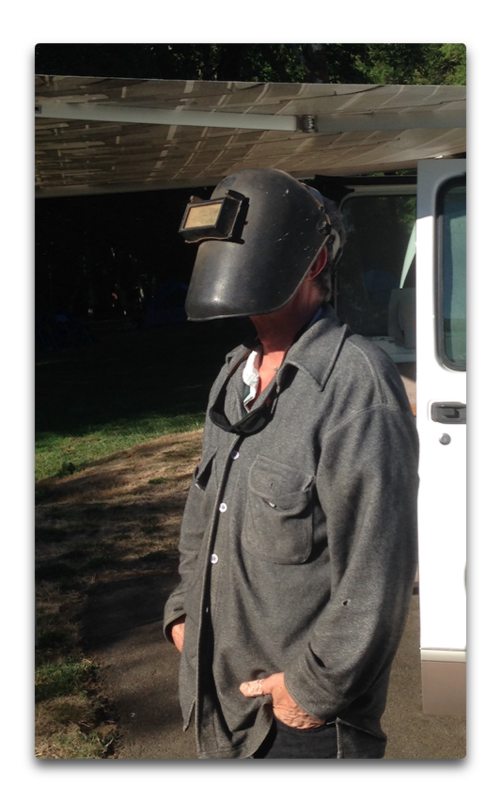 I knew that one welding lens wouldn’t be enough, so I cannibalized another old welding helmet I had and put both into the one mask … this is how cool doodz watch an eclipse. I didn’t take any great eclipse photos like Anthony and Dr. Roy. I just had my cell phone. But it truly was as amazing as everyone has said, and we had crystal clear skies. Now, inter alia I judge my trips based on how much I get surprised along the way. And the eclipse, in general, was indeed awesome … but mostly, it wasn’t surprising. The stars were lovely when they came out, and seeing the corona evenly surrounding the moon was an experience of a lifetime … but I expected to see them. However, there were two things that I didn’t expect about the eclipse. The first were the contrails. Not sure why, but they stayed bright as the sky darkened, and when the eclipse was at totality they stood out as brilliant bars across the sky. The other surprise was the shadows. Not the eclipse-shaped spots of light that other people have pointed out, although we saw them too, but I expected those. After the totality, we got on the road and headed north to the Columbia River. 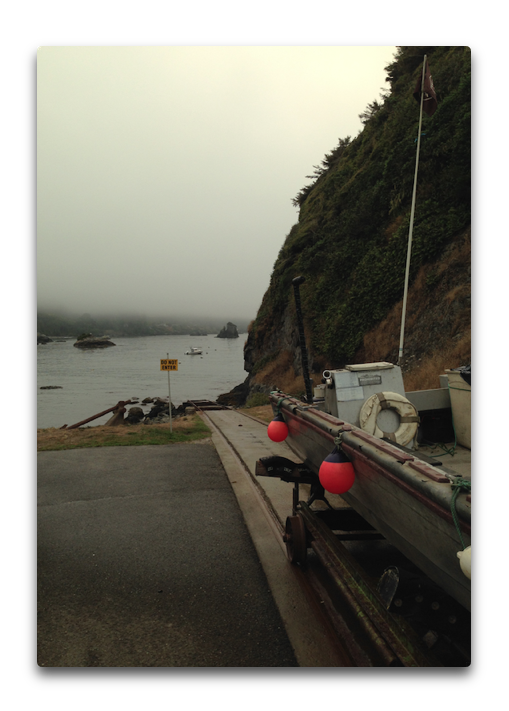 Our friends John and Ally Whitlatch hold an annual fish camp at the mouth of the river. This year the fishing sucked, nobody was catching. I hooked one, but it got away … as they say, that’s why they call it “fishing” instead of “catching”. And besides, I go there for the people. If I catch a fish, that’s a bonus. In the evening, we sat around the campfire drinking whiskey and telling lies. My thumb was finally good enough to play guitar again. Jim was there again this year, he’s older than I am. So I played “All Along The Watertower, Waiting For The Train” in his honor. It’s an old time song from 1928 by Jimmy Rodgers, the Singing Brakeman. The music and the stories flowed on and on … life is good, especially when there is a campfire involved. Anyhow, that was our eclipse trip. It was very smokey on the way back south, with six major forest fires raging across the north end of the state. The smoke was so thick we drove right by Mount Shasta and couldn’t see it at all. Back home now, it’s a lovely sunny late summer day. My daughter and son-in-law are up visiting, that always makes for a wonderful weekend. And for all of you, I wish that you, too, will be lucky in your lives, and that you have the world surprise you at every turn. August 27, 2017 in Curious things. Great reading, thanks for sharing! And that thumb – the photo made me cringe a bit!! I hope it heals quickly. Look like when I ran a 8mm end-mill into mine, except that I made a better job of the sutures. Maybe I was lucky that the quack was out to lunch ( literally, not metaphorically ) and I had pick the swarf out and close up myself. The Betadine ( iodine ) solution stang more than I anticipated but did the job, no infection and it all healed up very tidily. Shot myself with a nail gun onetime. Note to self, don’t nail 2x4s together with 6 inch spikes and hold them in your left hand. Willis that is what push sticks are for—saving fingers from amputation. Is Willis the notorious red thumb man on Jo Nova’s blog? Willis stays up half the night singing, struming and drinking. As is “strumming his pain with his fingers”. With apologies to Aretha Franklin. Willis – I hope the table saw is all right! Speaking of luck, Monday was the only day that the sky wasn’t obscured by smoke in Central Oregon last week. Thus, 80,000 visitors weren’t disappointed. There was a Burning Man-style event organized by Australian entrepreneurs at Summit Prairie, near Prineville, where my brother and S0L pick wildflowers. She called the vast tent village “Burning Moon”. Dunno how many wild flowers there will be next spring. The Warm Springs Tribe rented out their entire resort to Japanese, especially young couples looking to conceive children under an eclipse, which is fortuitous in some Asian cultures. At the Safeway in Madras, a mad house due to its location on the max duration totality line, the Japanese were much in evidence, as were Europeans. Plus of course indigenous Anglos of all sorts, Latinos and American Indians. For Griff’s benefit, I note that, had you continued north, you’d find the three main straits of the southern NW Passage still closed by ice. Maybe they’ll clear next month, but the melt has slowed pronouncedly. The northern route will almost certainly remain closed this year. I have just finished scanning over the front pages of several news sites: Your article was really a pleasure to read. Sounds like a fine vacation. Thanks, Jan, it was a wondrous trip for my gorgeous ex-fiancee and I. I see that I neglected her in the post, but she is my boon traveling companion and great friend. I have a kerf in the tip of my right thumb similar to yours, a demonstration of the power of the saw blade to do great damage when barely protruding from the table. Even after thirty years, in cold weather, the skin splits away from the scar just a little, inviting a stroke of the index finger to play with the edges. If you bite them in just the right way, you can remove little bits of the dried skin. My compliments on the way you saw the shadow detail when you might have been focused only on the sun. Max duration of totality was over two minutes, even on the coast, and grew as the shadow passed eastward, so there was time to look around. The contrails remained bright because at their altitude sunlight wasn’t blocked. I thought of that … but then I thought, why would the altitude make a difference? The contrails are up at say 10 km. The radius of the earth is about 6400 km … why would that 10 km change anything? Bear in mind how narrow is the path of totality and even more so max duration. Some contrails visible from your position might not be above the path of totality or even of 90% totality. The eclipse shadow is cast on the surface of the earth. Miles matter. A contrail at 35,000 feet is unlikely to fall under the umbra, given the geometry. Could they have been lit by moonlight as I have heard it was quite bright at the time but being on the other side of the pond and under cloud I wouldn’t know. At totality, the sun was at about a 40° elevation, so if you were 10 km from the edge of totality, a contrail 10 km above you could be in weak sunlight. I was just west and north of Santiam Pass (near Sisters, OR). Many thanks to my brother for his research in finding good possibilities and then throwing them all out due to the smoke east of the pass. We managed to find a find place with no one else within a mile. There was smoke west of the pass and couple plumes in the distance, but fortunately things were pretty clear and clean for totality. I still don’t understand the odd shadows, I had first observed them in an annular eclipse. One of these years I’m going to make a bright, configurable ring light and experiment. The visible contrails were laterally out of the full totality (off to the sides). Vertical height makes no difference at the distance scales involved. Doesn’t mention altitude, but you’re right. 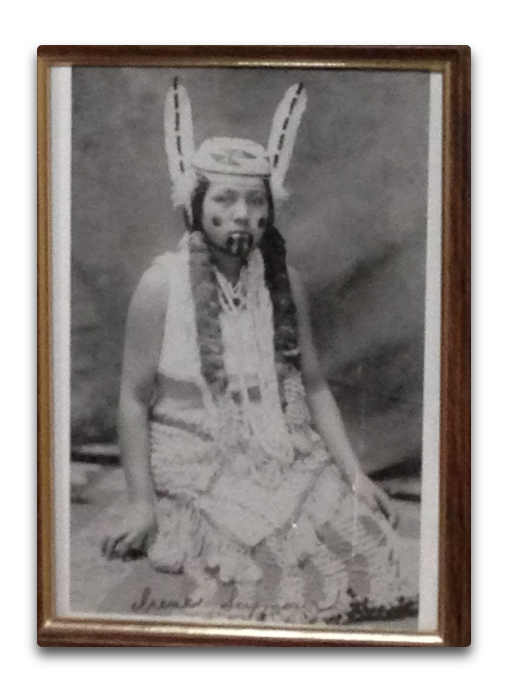 Glad the headline photo is of the Yurok girl instead of your thumb. Hope it’s healing nicely. 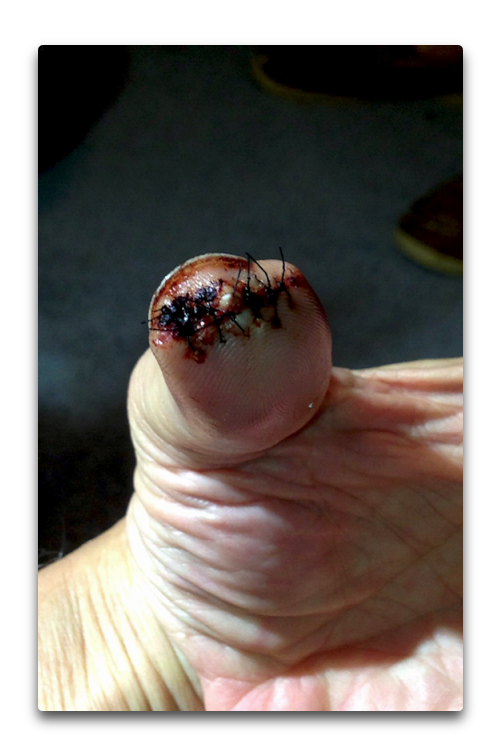 Table saw accidents are common, so only the thumb should hurt and not your pride. Yup, that and more frequent use. It’s similar to shooters. No matter how careful you are, if you handle firearms often enough, you’ll get an accidental discharge. Which is another reason for never, ever pointing one at anything other than something you want to kill. The pain in the tips of your fingers can be excruciating. About 20 years ago I was washing a correlle dish when it broke in half and took the tip of my thumb off. The detached part of my thumb about 1/2 inch in diameter and maybe 1/8 of an inch thick at most (much less than WE’s injury), but the pain was frightful. Elevation was an absolute necessity and after a couple of days and as much tylenol as I could stand, it eventually became bearable. Those nerves in the fingertips will let you know! The doctor put about 6 stitches in and the flap of fingertip healed nicely. (I can hardly tell where it is now). Hopefully Willis had some more powerful pain relief options than I had. Yes, that pain..I performed a bris on my right index finger with a mandolin slicer. Pain for months and now limited feeling. We watched the eclipse at Mud Lake, Idaho. We stayed at my sister’s house in Hailey, Idaho Sunday night and traveled. We got to see the houses where the stars live, Arnold Schwarzenegger, Demi Moore, and Bruce Willis. I did not see them during totality though. The thing I didn’t expect was how much the temperature dropped. It was comfortable warmish at the beginning, but was downright cold at totality. Our location was essentially desert plains. We didn’t see any stars, but Venus was all bright and sparkly. There were about a dozen people at our location at the intersection of highway 28 and 900 West at Mud Lake. The intersection was right on the centerline, which made it easy to find. One of the things we were looking for was if we could see the shadow approach. Saddle Mountain was to our west and it went dark there a few seconds before totality for us. It looked like a wall of darkness on one side of the eclipse and sunny on the other. The other thing we looked for was whether or not the corona looked like the simulations. To me, it looked like the simulations were pretty close to the real thing. The saddest thing I experienced was about my sister. She lived only a couple miles from totality, and watched it incompletely in her backyard never seeing totality. It wasn’t for lack of my trying to get her to go though, so it was her choice. Still… On the bright side, we’d brought our twin granddaughters and they got to see the full eclipse. The other grandkids got to see it elsewhere with their parents. So seven out of eight wasn’t bad at all. The eighth was too young to appreciate it anyway. The traffic coming up from Utah looked normal and it took five hours to get to Hailey. On the way back, it was traffic horror at its finest, taking seven hours just to get to the border, and total of 10 hours to get home. Venus shone brightly in Oregon as well, and temperature dropped rapidly. Geese honked. Traffic on Monday after the eclipse was, as expected, terrible. What really impressed my family however was the steady stream of private planes leaving Madras and Redmond well into Tuesday and even Wednesday, because of the “Burning Moon” event. Madras had about 400 aircraft, with many people camping under their wings. The airport set up ranks of portapotties and off ramp camping. Planes took off every two minutes or more often. There were at least two crashes, with two fatalities in one. I was lucky to be living in Oregon for both the February 1979 and August 2017 eclipses, but will have to travel to somewhere on an arc from TX to ME to watch the April 2024 event, should I survive that long. However, I might be in South America for the July 2019 total eclipse, although that’s winter then, so I’m usually not there. I was in Glendo, Wy and the totality was stupefyingly beautiful. I also noticed my shadow on the ground 5 minutes before totality and its incredible detail, just like a coal black second person. Our experience was the exact opposite. We live in a 90% totality area, and as the Sun became darker, it looked like we all had a wide line around our shadows on the ground that grew fuzzier and more transparent. At one point the blur made movements almost nauseating as the kids waved their arms slowly to see the effect. Our daughter could hold her outstretched hand at a certain angle and her knuckles looked like shorter fingers between her normal ones. The shadow issue is complicated by the sunlight becoming essentially a slit when very near totality. As Willis noted the narrowness of the slit casts sharp shadows of objects that are way too thin to cast a clear shadow in normal sunlight. But if you take that same narrow object and rotate it 90 degrees, its shadow disappears! The length of the slit source is long enough to wrap light around a narrow object even when the width is casting quite sharp shadows. A strand of wavy hair will cast shadows in the portions that align wth the slit and be invisible elsewhere. Idid this experiment with my own hair in 1970 eclipse, but lacked some of the crucial equipment to repeat it in 2017. And some years ago we also had a big eclipse-fest here in South Africa, and I took the family camping way up north of our country in a deep rural area where the Makuleke people live. Deep rural in like having crocodiles in your nearest water supply! Anyway, we never saw the eclipse because there was a heavy overcast with fat clouds, but it got very dark and one of my abiding memories was of all the cattle lying down because they thought it was bed-time! Your mutilated left thumb is certainly not a thing of beauty, but best wishes for its full recovery. And playing guitar requires the left thumb only to press against the back of the neck while the flighty fingers of the left hand make their magic music (I was told by my music teacher). But I have seen some mean guitar players whip their left thumb around onto the neck to create some wondrous sounds with those fat strings down there. The guitar has been deeply integrated into traditional African music, and its sound is totally pervasive throughout the continent. The variety and beauty of African guitar styles is unbelievable, with many different tunings and playing styles. One incredible performance I heard on radio here was a deep rural musician in the Northern Cape province playing guitar with a teaspoon in his mouth, stroking the strings to extract harmonics and wondrous sounds over and above his skillful hands and fingers – amazing! Foolish me, I was totally unaware that one could jerk vegans .. I am a second-hand vegetarian. The cow eats the grass and I eat the cow. We were way East of you, well away from I-5! The spot I chose from NASA’s Oregon eclipse map was right on the centreline, and even then we only had a handful of vehicles. The thing that was weird was the eerie twighlight just before totality. So all the planning for 5 years since our last US visit paid off perfectly. We did have hotel problems in Boise, even after booking in January, but the booking agency sorted it for us. Willis, I think you will like this from the Scandinavian Journal of Pain- Swearing as a response to pain: A cross-cultural comparison of British and Japanese participants. looked at my own tendons on both hands and fixed that way but…I am an idiot sometimes. could have been a lot worse, hope it heals well. A table saw removes material (kerf) the width of the tooth set of the blade. Was it a carbide blade? one february night, approx 15 below 0, roads covered with snow and ice. sliced open hand and got inch+ long view of tendon to one finger on top of hand. stuck needle and thread (soaked with alcohol) into edges drew it together 3 times and applied glue and steri strips. nearest hospital 25 minutes away at high (90) speeds anyway. I did the same thing to my left thumb about 10 years ago. No pain now but the scar tingles when I pay attention to it. Many many moons ago, and some ellipses probably, my father (almost) took the end off one of his fingers in a lawnmower. Some while later he had reason to see his doc – who noticed his still odd shaped finger and enquired about it. Am on a journey of absolutely no importance right now as it ‘appens. Giving my VW diesel its legs before the tedious nobodies take it off me and have made it as far as Wellington, near Taunton in Somerset. Somerset is surely famous around the globe for having had a lot of Climate Change. Great adventure for me to see if its actually true. Here in the UK, it was (maybe not now so much) all The Rage for towns to ‘twin’ themselves with far-off semi-exotic sounding places. Just an excuse for local dignitaries to go on Jollies to these places as far as I ever saw. No matter but, someone has seen fit to ‘twin’ Somerset. Not just the town, the Whole County. Somerset appears to be officially ‘twinned’ with……. Given the Battle of Berkeley this weekend, Jena is a suitable sister city, site of a fierce Napoleonic War battle in 1806. I just camped in national forest near Prineville, free and took five minutes to find a lovely spot next to a family that had decided that was the spot to be before they drove from California. I think the media scared a lot of people from seeing an awe inspiring event. Sad, especially for the kids who didn’t get to experience it. The traffic was overhyped, except for after the show on Monday. Travelling to Central OR wasn’t a problem, except in the immediate vicinity of Madras. The locals were overprepared, too, which I guess is better than underprepared. Except gas ran out in places at times. Sorry to hear about your thumb. Keep your eyes on that spinning blade through the entire cut. We did some research and found a Mississippi river overlook at the Fort Kaskaskia historical site a few miles north of Chester, Illinois and according Google maps just 3.9 miles from the centerline of totality. It was nice to see how fast the high cloud to the right dissipated. We thought it was going to spoil the show. Didn’t and as you imply, maybe the approaching cool down had something to do with that. It’s worth noting that ralf made his comment well before 5:00 pm. Of course you’re entitled to your opinion, but our esteemed host, Anth0ny has long published Willis’ travelogues and vignettes from his life, whether related to science, as they often are, or not. That’s his prerogative, and Willis’ personal posts are generally well received by the readership. It is surely the optimistic man that would consider counting on his luck so shortly after running his thumb thru a table saw. Just how old is your table saw as most of the ones made in the past 40 years have safety guards on them. You are smart so I know you didn’t take the guard off like I did on mine. My Dad always used the guard, he sliced his finger wide open. When I inherited the saw I discovered that the guard would jerk when you ran a board through. And you couldn’t see the blade. I took the guard off, kept my eye on the blade through every cut, and no accidents in over 40 years. Here is a shot I took on Monday part of the total portion of the eclipse from Casper, WY. I would have had a problem using your welding helmet, I think. Was trying for the carona and seem to have got it fairly well. But Willis, what about the gold? A safe place to store it. Here our welding helmets can dim to the #13 gradient with a #4 sensitivity so we used those to our great comfort and satisfaction. After much bullying and nagging from my wife she took me to A&E with severe chest pains Saturday night. I was mightily annoyed as I was watching Star Trek. After walking in to A&E and being attached to machines, some of which went “Ping!”, the Dr. stated I was having a heart attack! Lots of drugs a stent and rest I am as good as gold. Bit to read posts of digital damage, my hands and fingers lashed with scars themselves too, I cringe reading other people’s stories. It is amazing how advanced heart medicine is now. I had a relative who went to the hospital with chest pains a couple of months ago, and the doctor told her she was having a heart attack at that moment. They wheeled her into the operating room, opened up her blocked arteries, and she went home two days later. Amazing! This used to be a major operation. Now it’s almost outpatient care. Amazing strides are being made in medicine. Had about two minutes of totality in Franklin, Ky. We watched with glasses until about five minutes before when I told my wife to remove her glasses to view the diminishing light. The last minute before totality was breathtaking as the light quickly dimmed as though on a rheostat. Mark 2024 for Cleveland…you can visit the Rock and Roll Hall of Fame and fish for walleye! What a treat to see the picture of the boat ramp! My late husband built that when he was a young man, also working as a commercial fisherman at the time, He had some interesting stories on how it came about! Where I live, we were supposed to have 87% coverage of the sun. Instead, we had complete cloud cover. I waited patiently, kept glancing at the sky. 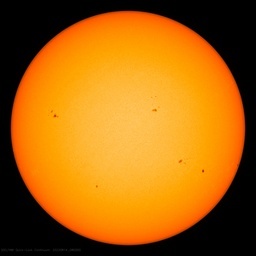 All the panicky articles that I’ve ever read about not looking at the sun fail to take into consideration that it’s too bright to stare at it, even for a few seconds. All I had to do was glance upward, hoping for a break in the clouds, and finally, after the totality had passed, there was a hole in the clouds and I got one good, clear shot of the moon leaving. Took two seconds, one to locate the sun, one to shoot the image. I’d like to post my image, but don’t know how. It’s nice, though. But although I really did miss the event as it happened, I don’t complain. Willis,.. always enjoy your entries. Still have all digits though. I’ve even had push-sticks catch and come back like an arrow. Close in work is always been the kind of work that has got me into trouble. I’ve tended to turn my finger tip into “hamburger”. I too had a great surgeon each time. I am SO glad that you are OK. Thanks for your posts and delightful reflections. Sawstop, it’s worth every penny. Great post – I got caught up in the old music (Jimmie Rodgers and others). It brought back many memories. Thanks Willis. The year before I started at college, someone was eating his salad and came across something like a slice of grape but chewy. He pulled it out of his mouth and was duly impressed to see it was a finger tip. Apparently the person slicing something for the salad cut one slice too far! 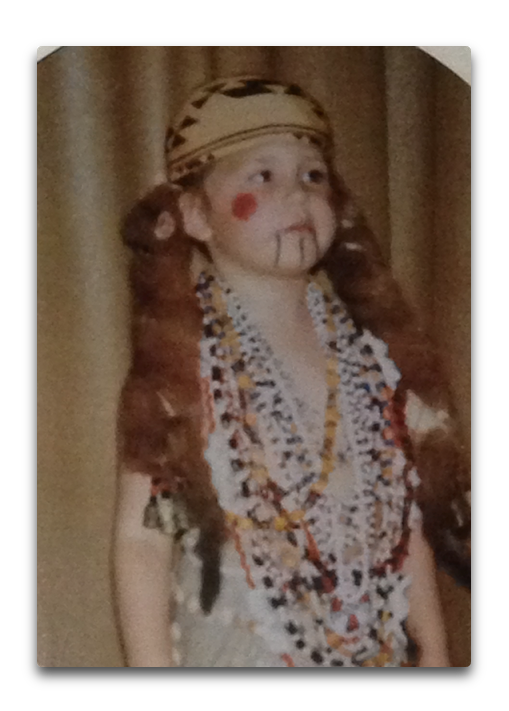 I am wondering if those are brand marks on the Indians. I thought it was the Murdock tribe that used to brand “111” on there women so that the frontiersman wouldn’t want them. Any historians out there that would know? An informal poll, if you will. I was sort of paying attention to seeing shadow bands at the edge of totality. Didn’t see any. Neither did a coworker who saw the eclipse later in the day in Tennessee. Did anyone? I’ve read absolutely no mention in other accounts I’ve read about Monday’s eclipse. I have seen something I think are the same phenomenon or at least very close. I had a condo for a while where a couple times a year the sun set behind a small mountain some 15 miles away. The light would go through my bedroom window, through the doorway and hit a stairwell wall. So, obviously, I took a manilla file folder, used a paper punch to add a hole and used it as a pinhole projector. Worked great. In the few seconds before sunset I’d often get a sense of horizontal ripples of light flowing over the sun. I concluded they were related to convection cells above the terrain but never tried to correlate then with local winds or other factors. I wasn’t expecting to see shadow bands, but if I ever see a total eclipse near sunset I’ll be looking for them more intently than I did last week.